Lisa Transcendence Brown, B.Msc., is a globally recognized Author, Transformational & Evolutionary Speaker, Quantum Catalyst, Teacher, Coach, WayShower/Guide, New Earth Physical Ascension & Empowerment Guide assisting others in Awakening To Remembering fully and Living Mastery from within. As an embodied Ascended Master & Ancient Key-Code-Holder for NEW Earth, dedicated and fully in-service, she brings forth highest consciousness wisdom and knowledge to empower all ready to embrace their own Quantum Existence now. 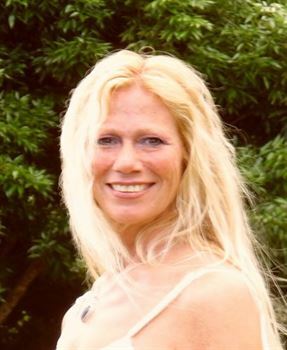 As a highly respected evolutionary, visionary, sage, oracle, and re-educator through Highest Consciousness Quantum Existence, Lisa is regarded as an expert on our Plasma Crystalline LightBody DNA Evolution, Multi-Dimensional Consciousness/Energy Mastery and Living Our Super Quantum NEW Earth Existence NOW. She shares from her own experiences and works through the Unified Field as Love with a focus on transformation and expansion beyond one’s current physical reality. All of her works are Light Encoded to activate and raise the vibrational frequency of those who receive and to assist with the Evolution of HUmanity through Global Consciousness re-education too. She teaches Quantum Logistics and Quantum Dynamics of our Photonic DNA Evolution as it’s occurring on a Multi-Dimensional Level now, yet not in a linear fashion, but instead, a Light Encoded Quantum one.